Dr. Jason Spector's primary clinical interests include reconstructive microsurgery of the head & neck, breast and lower extremities as well as cosmetic surgery. He is a nationally-renowned board-certified plastic surgeon, and an Associate Professor of Surgery at NewYork-Presbyterian/Weill Medical Medical Center. Dr. Spector was recently featured in the award-winning ABC-TV "NY Med" documentary series. 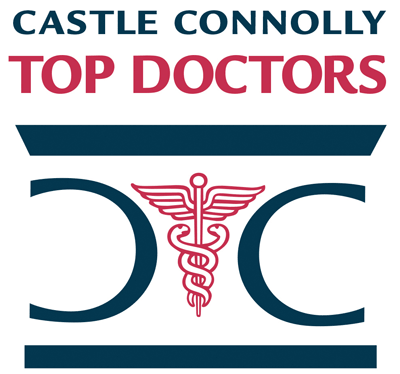 Dr. Spector was also named as one of "America's Best Doctors" in 2011, 2012, 2013 and 2014 by both Castle Connolly and US News and World Report. He was also named "Top Doctor in NY Metro Area" by Castle Connolly, and selected as a " New York SuperDoctor," in 2012, 2013 and 2014, an honor accorded just 5% of physicians. Dr. Spector was selected in 2014 as one of NY's "Best Doctors" by New York Magazine. Dr. Spector was the recipient of the prestigious 2013 World Technology Network Award in Health & Medicine, being recognized for his innovative research which was chosen as most likely to have long term significance. Dr. Spector plays a major role in physician training, and he is widely published, with more than 100 papers and three book chapters. In 2009, he was named Academic Scholar of the American Association of Plastic Surgeons, the most prestigious American award for a developing academic plastic surgeon. In 2011, he won the National Endowment for Plastic Surgery award. Dr. Spector is a member of many professional medical societies including the American Society of Plastic Surgeons, the American College of Surgeons, the Society of University Surgeons, the American Association for Academic Surgery and the Plastic Surgery Research Council. He serves on the editorial board of Aesthetic Plastic Surgery. In addition to his clinical responsibilities, Dr. Spector is the Director and Principal Investigator of the Laboratory for Bio Regenerative Medicine and Surgery (LBMS) at Weill Cornell Medical Center. The LBMS focuses on novel approaches for tissue engineering as well as studies on wound healing and ischemia reperfusion injury. Dr. Spector has numerous active collaborations with faculty at the Biomedical Engineering College at Cornell University which aim to translate cutting edge technologies to the clinical arena. A native of New York City, he completed his undergraduate degree at Cornell University in 1991, where he graduated with distinction and was named to Cornell's Golden Key National Honor Society. Dr. Spector graduated from New York University School of Medicine in 1996, where he was a member of the prestigious Alpha Omega Alpha Medical Honor Society and winner of the Valentine Mott Award for his outstanding research. In 1999, he won the Best Resident Research Presentation at the Northeastern Society of Plastic Surgeons, and in 2003 he won the Best Research Presentation at the New York Regional Society of Plastic Surgeons' Residents Competition. Dr. Spector trained in both general surgery and plastic surgery at the New York University Medical Center. He completed a fellowship in reconstructive microsurgery, also at NYU Medical Center. In addition, Dr. Spector completed a postdoctoral research fellowship at the Laboratory of Developmental Biology Repair, under the direction of Michael T. Longaker, M.D. at NYU Medical Center. For more information about Dr. Spector's research, please visit the Laboratory for Bioregenerative Medicine Surgery website. Dr. Jason Spector is a nationally recognized clinician, researcher and educator. He has collaborated with scientists from Cornell University's School of Chemical and Biomolecular Engineering and Biomedical Engineering on important research projects. He holds 2 patents, and has been an integral part several Cornell University-Weill Cornell Medical College translational research teams. He participates in the NIH and Howard Hughes Medical Institute sponsored Clinical Summer Immersion for Biomedical Engineering Program, mentoring engineering doctoral students. Since 2007, he has been a lecturer at Cornell University's Biomedical Engineering Science and Technology course, "Approaches to Problems in Human Needs." Dr. Spector serves as an Ad-Hoc reviewer for six prestigious medical journals, and has presented at national and international medical meetings. He recently served as Moderator of the Emerging Technologies Section, at the American Surgical Congress in 2011. 1999- Co-Author, Peter J. Gingrass, M.D. 2000-Co-Author, Peter J. Gingrass, M.D. Jason A. Spector, M.D., FACS has been named one of America's Top Doctors by Castle Connolly. We have 384 of America's Top Doctors in 57 medical specialties.